This American comedian, actress, and writer, is widely celebrated for being one of the most popular comics in the U.S. In a career spanning 30 years, Kathy Griffin has won the Grammy Award for best comedy album and holds the Guinness book record for most televised stand-up specials by any comedian in history. Griffin’s career has been recently threatened by a photo controversy involving President Donald Trump. Want to know more about the whole drama? You are in the right place. kathleen Mary Griffin was born on the 4th of November, 1960 in Oak Park, a suburb of Chicago, Illinois. She was the last of five children born to Mary Margaret Griffin and John Patrick Griffin, both Irish-Americans. She has three elder brothers (Kenny, Gary, and John) and one elder sister, Joyce. Joyce and Gary respectively died in 2017 and 2014. Griffin’s journey into comedy started at an early age. As a child, she was quite talkative and whenever there was a party, she would circulate around guests telling jokes. Upon graduating from high school, Kathy Griffin convinced her parents to relocate to L.A. so that she would take a shot at show business. Griffin’s first Hollywood job was with The Groundlings, a sketch comedy troupe. From there, she started performing stand-up comedy at various venues and eventually developed her own stand-up night titled Hot Cup of Talk. In the 1990s, the comic scored consistent appearances on various TV shows and movies such as Medusa: Dare to Be Truthful, The Fresh Prince of Bel-Air, Shakes the Clown and NBC sitcom, Seinfeld. Kathy Griffin became a household name in 1996 thanks to the NBC sitcom, Suddenly Susan, where she played the loudmouthed sidekick of the main character, Brooke Shields. This cemented her place in Hollywood and since then, the fiery redhead has never looked back. In a career spanning over three decades, she has gone on to release six comedy albums, all of which earned a Grammy nomination for Best Comedy Album. Unlike any comedian, she has starred in 20 televised stand-up specials. In addition to the foregoing, she authored two bestselling books, Official Book Club Selection: A Memoir According to Kathy Griffin (2009) and Kathy Griffin’s Celebrity Run-Ins: My A-Z Index (2016). Due to her unparalleled humor, Kathy Griffin is also a highly sought-after host and has hosted several high profile events such as CNN’s New Year’s Eve special, Billboard Music Awards, and the Daytime Emmy Awards. The Chicago native has won several accolades for her work including two Primetime Emmy Awards for her reality show, Kathy Griffin: My Life on the D-List. She also won the 2013 Grammy Award for best comedy album; this was for her sixth album, Calm Down Gurrl. Kathy Griffin’s net worth is currently estimated at $32 million. It is believed that she has made a total of $75 million in the course of her career. She earns seven-digit figures annually but this took a big hit following her Trump photo controversy. She was forced to cancel the remaining of her live tour due to the death threats she received. Griffin is now making a comeback with a Laugh Your Head Off tour scheduled to cover Canada and the U.S. It is estimated that she would make up to $4 million from this tour. Griffin’s career has not been without controversy thanks to her no-holds-barred approach. In 2007, while receiving her first Primetime Emmy, she stated that she would not thank Jesus for the award as he had nothing to do with it. This was meant as a satire of the many celebrities who always dedicate their award to God but many found her humor offensive. The one controversy that nearly derailed her career is that involving her photo of US President Donald Trump. On the 30th of May 2017, she posted a video of herself holding a severed bloodied faux head that resembled Donald Trump. The gory image earned her backlash from both sides of the political divide. The president and the first lady publicly expressed their dissatisfaction with the photo. As a result of the whole affair, she lost her endorsement deal with Squatty Potty, a popular US company. She was also sacked from her regular job of co-presenting CNN’s New Year’s Eve show with Anderson Cooper. Officially, the secret service opened an investigation into the motives behind the picture. In a bid to do damage control, Griffin issued an apology at a press conference held on the 3rd of June. She has since stated that she is withdrawing that apology in light of everything the Trump administration has done. Husband or Boyfriend, Is Kathy Griffin Married? 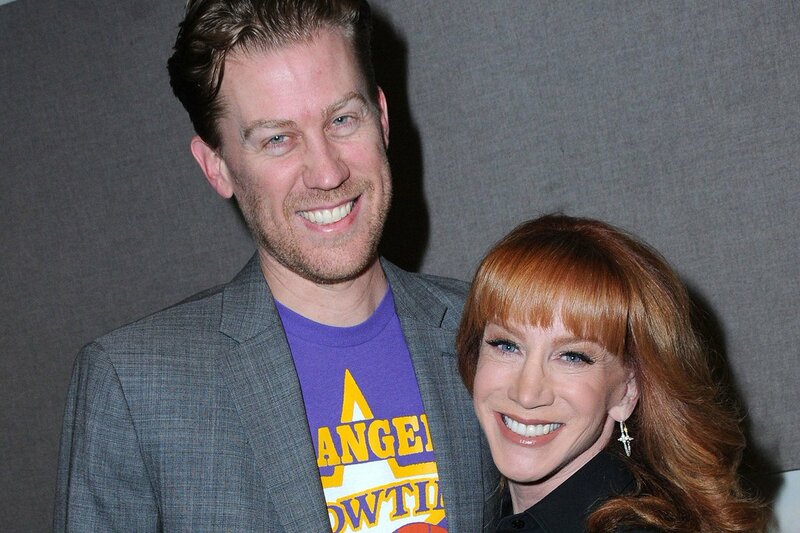 Kathy Griffin got married to software entrepreneur Matthew Moline in 2001. They later divorced in 2006 after she accused him of stealing some money from her. Griffin found love again in 2007. This time, it was with Apple co-founder, Steve Wozniak. They dated for a year and split in 2008. Griffin’s next publicly acknowledged relationship was with Randy Bick. They started dating in 2011 after meeting at a wine festival. The relationship lasted for seven years and they announced their amicable split in November 2018.